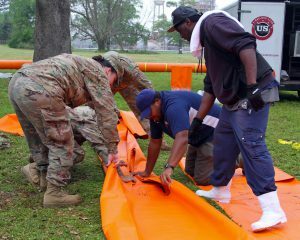 NEW ORLEANS — The Louisiana National Guard and the Governor’s Office of Homeland Security and Emergency Preparedness coordinated with 48 federal, state and local partners from around the state in an annual disaster response exercise designed to test and reinforce the capabilities and cohesive action between various government and non-governmental agencies, April 5-7. 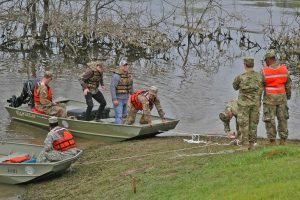 “What we really want to do is drive our systems to the point where they actually break so we can understand where our gaps are and refine our processes,” said Curtis. 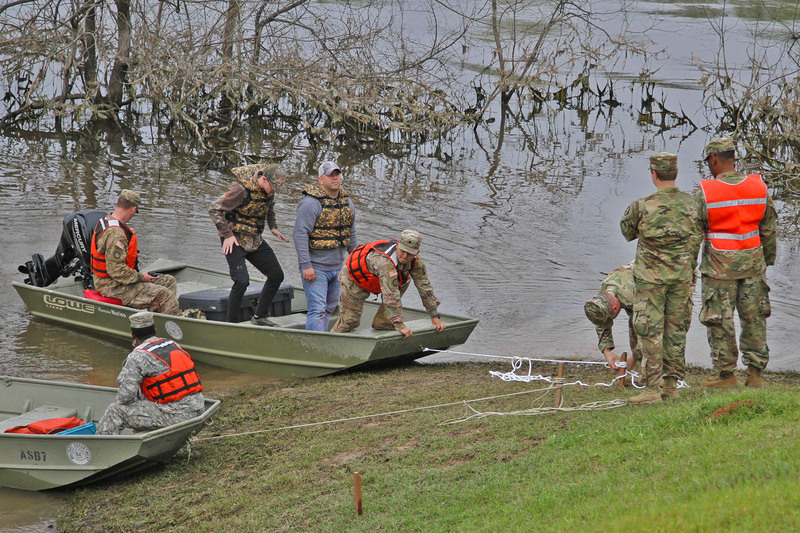 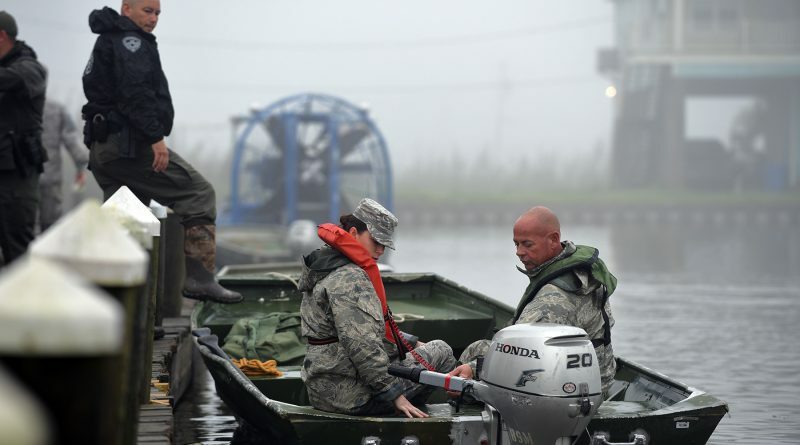 At the Natchitoches location, Guardsmen with the 256th Infantry Brigade Combat Team, headquartered in Lafayette, practiced boat and land search and rescue operations along with parish, state and federal agencies. 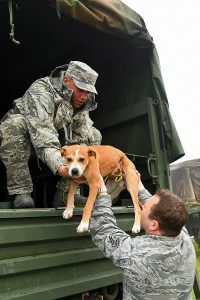 Guardsmen and their partners conducted “lily pad” operations, which are consolidation points where people are brought once rescued to receive medical support, security, pet processing and transportation out of devastated areas. 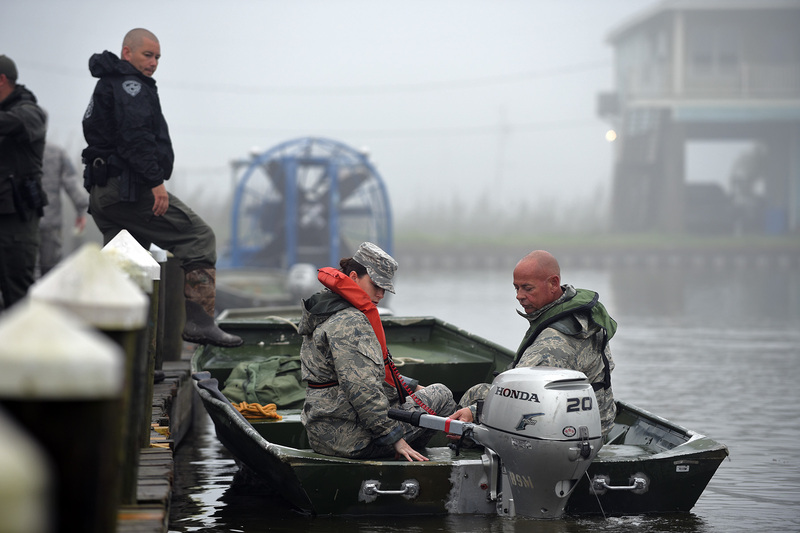 Intercommunication capabilities were also tested in coordination with other agencies.